Our tractor-driven mowers are ideal for orchards and vineyards help ensure that you spend less time and money on maintenance. 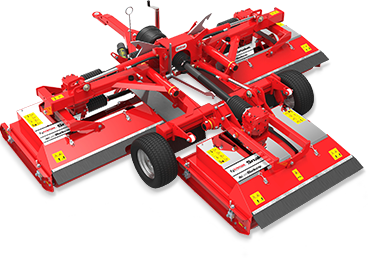 Trimax Mowing Systems is a New Zealand based company which grew up in the Kiwifruit industry in the early 80’s and offer both flail and rotary mower options. Specifically designed for orchards and vineyards and other demanding terrain applications, Trimax Horticulture Mowers are of the highest quality and we stand by our products by offering a marketing leading three year warranty. Not only do we build incredible products, but we’re focused on after sales support and servicing. If you’re looking for a reliable and robust mower or mulcher with an industry leading low total cost of ownership then contact us today. For more information download our catalogue below or request a free product demonstration. Trimax Ezeemow FX™ is a versatile and robust partner for your compact tractor. Suitable for contractors, councils, roadsides, estates, vineyards and orchard applications. Minimum tractor requirement 17hp. 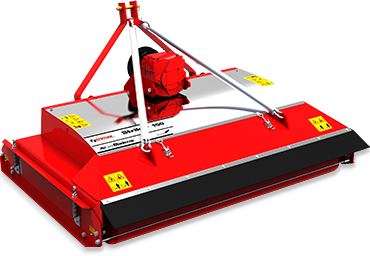 The Trimax ProCut S4 has been engineered to withstand use in the toughest commercial environments. One of the best sports and turf mowers on the market, the ProCut can be specified specifically for Orchard applications. Minimum tractor requirement 35hp. The all new Trimax Warlord S3™ with it’s hydraulic sideshift operation makes for a powerful working companion in various commercial applications. Minimum tractor requirement 45hp.